Below each 10 lines from Books 6 and 22 of Thomas W. Allen's 3rd edition of Homer's Iliad (originally published by Oxford University Press in 1920) is a single page of all corresponding vocabulary and intermediate level grammatical commentary. Once readers have memorized the core vocabulary list, they will be able to read the Greek text and consult all relevant vocabulary and notes below on the same page. Geoffrey Steadman (Ph.D., Classics) currently teaches Latin and Greek in Knoxville, Tennessee. This is saying alot. There are dozen of "school" editions of the Iliad designed to help learners of Greek. Steadman's has the largest font, the most user friendly layout, the most complete notes, and the best glosses. His notes are concise but clear, getting you back to the text quickly. The glosses typically give both the literal and extended meanings. In this volume he gives some very useful help with particles, but again, he avoids the wordy meta-language jargon that takes focus off of the Greek. Steadman is to Greek texts what Achilles is to combat. Let us only hope that Steadman, unlike Achilles does not die young, and continues to produce these wonderful volumes. In the tradition of schoolboy editions of yore, with user-friendly formatting, this delivers extensive vocab. (dual: essential to memorize, and ad hoc) and bare-bones morphology and syntax notes (more generous than Stanford or Merry). Perfect for transitional students, arguably better than wordy commentaries or the Siren of Perseus Project 'click on any word' resource. Memorization, dictionary experience, and instructor commentary should be added to the mix in practice. Innovative production and publishing---I for one am not worried about the lack of publisher or classicist gate-keeping, which has devolved into incompetence and/or corrupt 'help my friends hurt my enemies' networking. I only noticed one note I disagreed with after perusing 100 lines. This may be a feasible new model for undergraduate commentary, and it is certainly a valid choice. Geoffrey Steadman is continuing to fill a need for students in adopting the format he does in the series he will hopefully expand in time. We are a group of over-50 professionals who meet one evening a week and need all the help we can get. Of course, we would like a literal translation included (wouldn't any lazy student!) but realise that that would defeat the purpose of our struggle with and enjoyment of the original great language. I'm sure there is a reason for the detailed vocabulary lists detailing the frequency of the individual items of vocabulary but as our short term memories fade with age we would also really like a traditional vocabulary at the end of the book or as a fold out (cf Pharr's Vergil) which would be accessible in those (unfortunately many ) occasions when we can't recall the translation of a word we know we have seen before somewhere in the text! 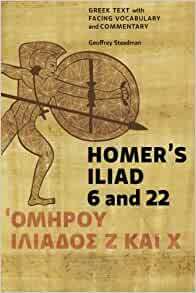 Any reader of these books of the Iliad of Homer will this a must purchase - especially at such an accessible price. I have read this commentary and your commentary on Plato's Symposium. I look forward to reading the others. You have performed an invaluable service for students and teachers of literature, philosophy, and, of course, ancient Greek. 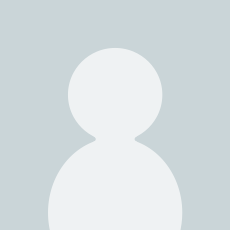 I will ask a favor: next, would you give us the second book of Thucydides? After being out of college several years with only a few semesters of Greek under my belt, Steadman's texts have been incredibly valuable in bridging the gap from textbook Greek to reading real Greek. The introduction and notes have also been immensely helpful in going from Attic to Homeric Greek. I would recommend this as as excellent self-study text for anyone wishing to delve into Homer. So affordable; so accessible. Thank yo for this series. Can I get some Thucydides?